At Ascent Adaptation, we believe in the concept of natural healing, which is activating and supporting your body’s own internal mechanisms. And our revolutionary LED light therapy does just that. It’s a Multiwave patented technology that uses the concept of photobiomodulation therapy (PBMT) to activate specific cellular activity. The device consists of a bed covered in tiny LED bulbs, which emit varying wavelengths of light. The technology behind it aims to revolutionize a market that relies on complicated, invasive procedures by offering a more effective alternative. The procedure of photobiomodulation relies on our chromophores ability to absorb specific light wavelengths to bombard them with red and infrared light particles. The process will trigger specific chemical processes inside the cell, which will lead to a variety of biological effects. The most notable one is the increase in blood flow, ensuring higher levels of oxygen and nutrients for your organs and muscles. Does light therapy work for pain? PMBT is excellent in relieving joint and muscle pain, specifically muscle aches caused by mechanic stress, as well as pain associated with tissue injuries. On top of that, our light therapy increases the body’s ability to heal damaged tissue and speed up the recovery process. It all comes down to increasing the blood flow throughout the organism. Your body will direct the blood flow towards the damaged areas, whenever tissue injuries occur. By flooding the area with oxygen and nutrient-rich blood, it will speed up the healing process dramatically. You will also notice a decrease in soreness and inflammation, as well as a reduction in redness and bruising. Our Light Stim offers you a multitude of benefits related to sport capabilities as well. Thanks to its ability to protect against free radicals and support the production of ATP, you will also notice improved muscle regeneration, decreased muscle fatigue, and boosted post-exercise recovery. Does light therapy work for wrinkles? Yes, it does. Furthermore, by enhancing the production of collagen and elastin, your skin will look smoother and healthier than ever. Using our technology regularly, you will not only feel better but look better as well. It is worthy of mentioning that PBMT stops the internal processes that create free radicals inside the cells. These are toxins that accumulate inside your body, sabotaging your immune system over time and affecting your normal functioning, including your skin’s health. Following several sessions of PBMT, your skin will become healthier and better looking than ever. Can you lose weight with red light therapy? Yes and no. You should realize that losing weight is a complex process, relying on more than light stimulation. You also need to adopt a strict nutritional strategy, optimal sleeping habits, and regular, personalized workout routines. Our Light Stim will provide you with improved blood circulation, for better muscle oxygenation and lower recovery rates, as well as ATP, for a significant energy boost. 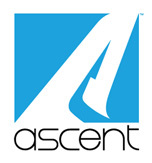 Ascent Adaptation offers you a modern, innovative solution to ancient problems that still haunt us to this day. Give our technology a try and see the results for yourself!